This month we are exploring Disney Breakfasts, which is one of the yummiest things to talk about in my opinion! 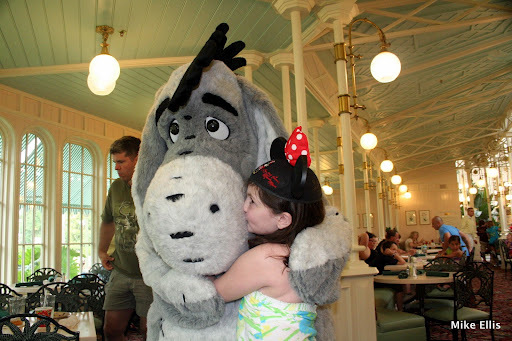 I have so many different memories of favorite breakfast stops we have made, so rather then try and choose the best place for me to enjoy breakfast at Walt Disney World, I thought I would give you my top five breakfast memories and go into detail what made them special. This is in no particular order, mind you, so the first one I’m going to talk about is the time we ate at ‘Ohana for breakfast, at the Polynesian Resort! 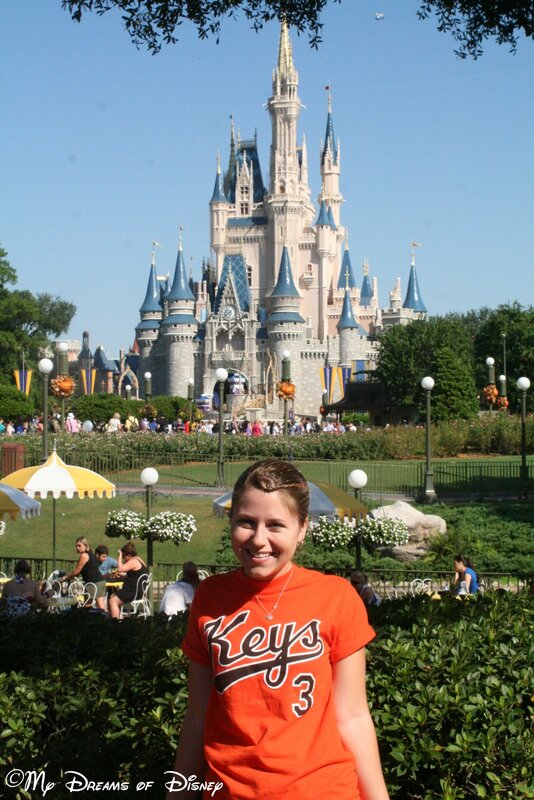 I haven’t met a Disney fan yet that doesn’t know that ‘Ohana is Hawaiian for family. 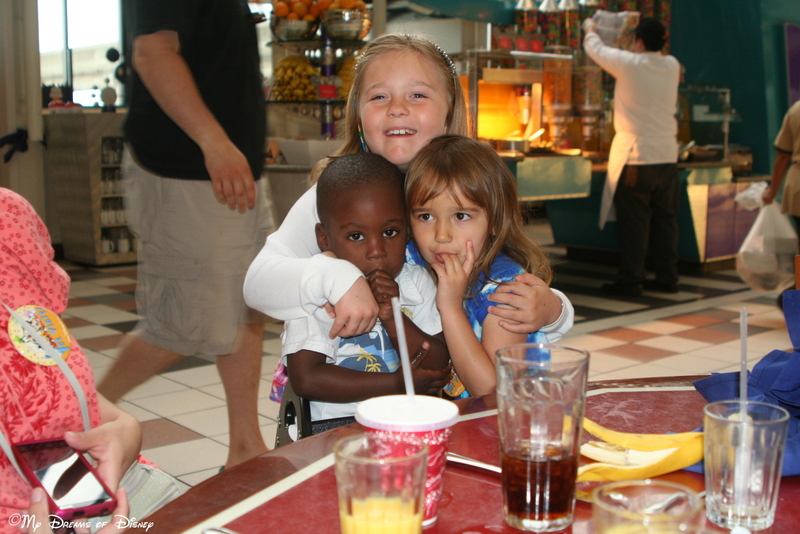 This is certainly appropriate because when you eat at ‘Ohana, it’s as if you are visiting your family! We have only eaten here the one time, but it was a very memorable dining experience, and one that we will make again! I remember that day like it was yesterday. 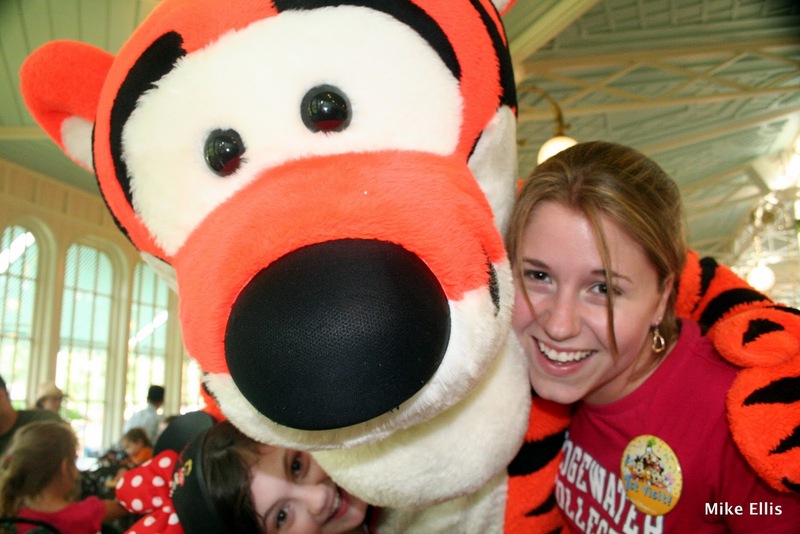 We stayed at Port Orleans French Quarter that year, it was our first time staying at POFQ, so we took the bus to the Magic Kingdom. From there, we decided to take the Water Taxi to the Poly instead of the Monorail because we had never done that water taxi before. The day was incredibly clear, with some absolutely incredible blue skies. 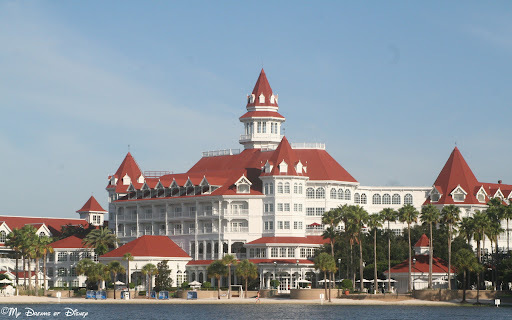 It was during this ride that I got this shot of the Grand Floridian Resort & Spa. 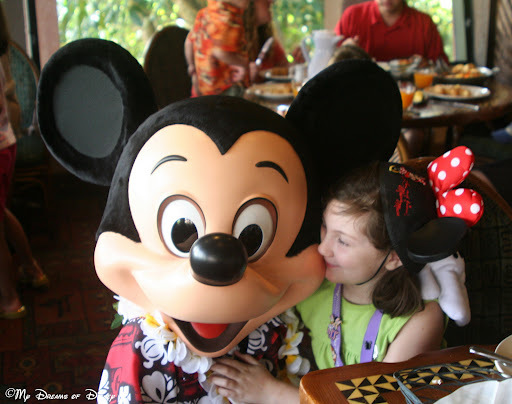 Breakfast at ‘Ohana is served Family Style, meaning that you can eat as much of your favorites as you want to. The thing that stood out most of all for me was that the sausage was so incredibly juicy and delicious! Also, I don’t like eggs, but I even had some of an egg dish — maybe it was just scrambled, I don’t really remember, and they were good also! The Cape May Cafe is another of my favorite breakfast locations, and like ‘Ohana, we have only eaten here once as well, but we’ll get back there again in the future! 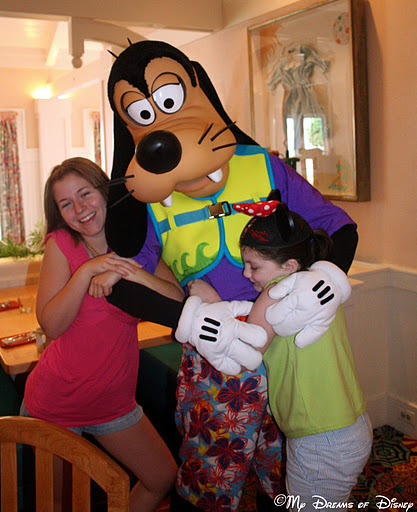 Located over at the Beach Club Resort, the Cape May Cafe’s motif is light and airy, and this character breakfast features the likes of Minnie Mouse in Beach garb, Goofy, and Donald Duck! 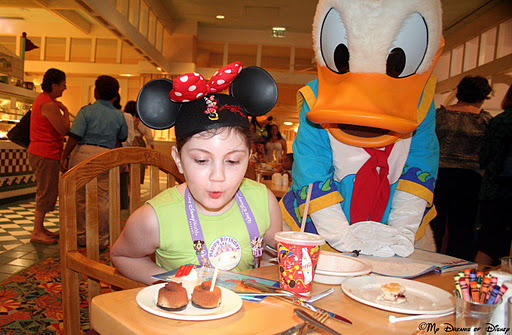 The restaurant is a typical breakfast buffet, but is a lot of fun and has good Disney food! 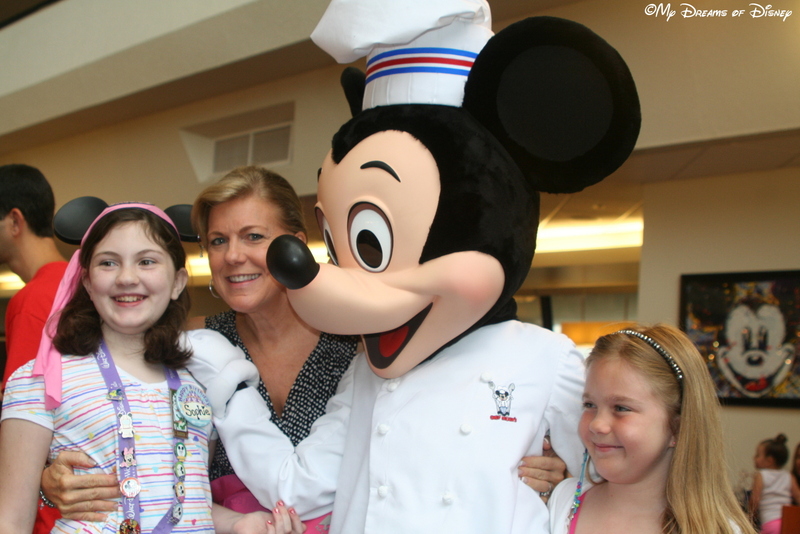 This past June we ate at Chef Mickey’s for breakfast. So many of our travelling party were newcomers to Walt Disney World that this seemed like a great way to get a good character breakfast outside of the parks. The atmosphere was great! 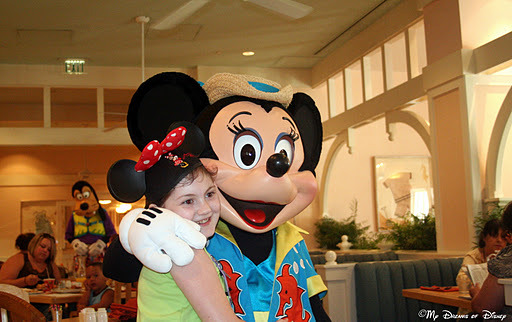 This was our first time eating at Chef Mickey’s for breakfast, we had eaten there for dinner before, and to be honest, it was not as good when we ate there at dinner. We got a lot of great pictures from that visit, take a look at these two that I like in particular! When we visited for the 40th Anniversary on October 1, 2011, we waited in long lines for one of the classic cinnamon rolls from the Main Street Bakery. The line at the Bakery was really long, but it was worth the wait, and we were able to find some outside seating over by the Plaza restaurant, and on that picture perfect day, eating our cinnamon rolls, it was a great memory from a great day. I don’t have a picture of the breakfast, but I do have this great photo I took of my niece right after we finished. 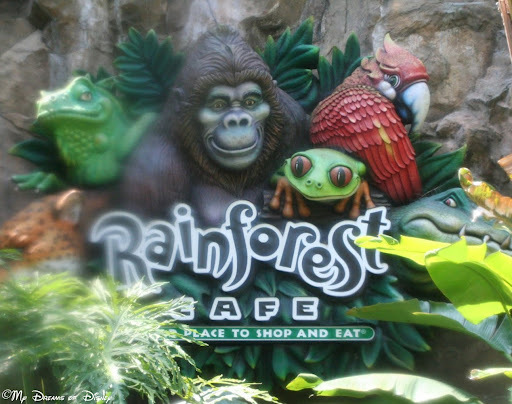 The last restaurant that we are going to take a look at was the Rainforest Cafe, which we ate at during one of our days in June, 2011. Normally I wouldn’t even worry about eating at a restaurant like the Rainforest Cafe because I have eaten at other Cafe’s in different cities, and I didn’t want to eat at a restaurant that was not unique to Walt Disney World. However, we decided to make a reservation for here, and the food was absolutely incredible. It wasn’t very busy, I had a very good serving of what they now call Tonga Toast (although I’m not 100% certain that was what it was called then), and all in all, it was a very good breakfast, with all of the usual Rainforest Cafe theming to enjoy. Thank you for stopping by to look at my top Disney breakfast spots! Do you have any favorites that are different from these, or do you have any other comments about what you like or don’t like about these five? Please let me know in the comments, and thanks for visiting!